Wedding dresses come in a wide range of styles and materials and when the big day has come and gone, you will want to have it cleaned. Your wedding dress is a personal, memorable and emotional keepsake and you need to make sure it is properly cleaned and stored. Taking your wedding dress to someone who isn’t a specialist in dealing with such things is a recipe for disaster. If the wrong solvent is used then it could damage all those beads or sequins which could ruin the delicate fabric. 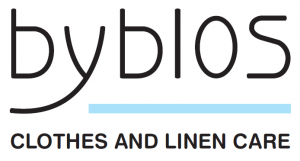 A specialist wedding dress cleaner such as Byblos will have all the expertise and the right products to keep its luster for many more years. We specialize in wedding dress cleaning and also provide a wedding dress packing service to keep your treasured outfit safe for long term storage. We are members of the Textile Services Association and The Guild of Cleaners and take our work very seriously. We provide an exclusive service to all our customers and treat all garments as if they were our own. Your dress will be taken under the wing of our dedicated wedding dress cleaning team who will return it to you in pristine condition. If you also opt for our wedding dress packing service you will have a perfect presentation solution that will keep it safe and protect it from the ravages of time. Your wedding day is undoubtedly one of the happiest and most memorable days in your life. We can help to make sure that the major symbol of your wedding day is kept safe and remains the perfect reminder of that perfect day. Why not contact us when you get back from your honeymoon to see what we can do for your wedding dress?